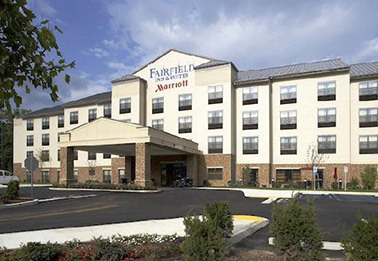 The Fairfield Inn and Suites Cumberland, located at 21 N. Wineow St. in Cumberland, Md., is one of the 13 hotels in Concord's portfolio. RALEIGH, N.C. -- Concord Hospitality Enterprises has sold a portfolio of 13 hotels in an all-cash transaction to companies owned by an unnamed global investment fund for approximately $240 million. The portfolio is comprised of 1,650 rooms representing 11 Marriott and two Hilton-branded hotels. "This sale is a continuation of our ongoing plan to strategically sell stabilized assets while retaining management," says Mark Laport, president and CEO of Concord Hospitality. "This gives our investors an attractive return on their development investment while providing long-term, sustainable growth opportunities for the companies that buy these assets." 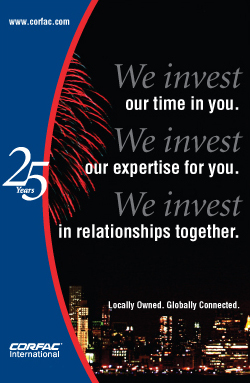 Concord Hospitality will continue to operate the hotels under a long-term management agreement. Mark Elliott of Hodges Ward Elliott was the lead broker in the transaction. The average age of all but one of the hotels is under five years old, and all were developed, rebranded or substantially updated by Concord, according to Laport. Brickell City Centre will house Swire Hotels' first U.S. hotel -- EAST, Miami. MIAMI -- Swire Hotels is set to open EAST, Miami, the company's first hotel in the United States. 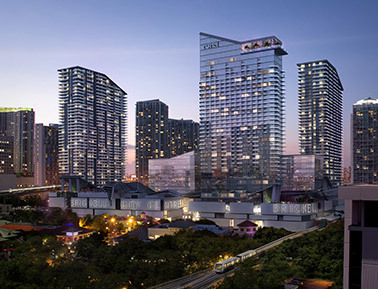 The hotel, which will feature 263 guestrooms and 89 apartment units, is set to open in 2015 at Brickell City Centre, Swire Properties Inc.'s $1.05 billion mixed-use development in Miami's Brickell neighborhood. The hotel will feature two restaurants, a poolside bar and lounge, rooftop bar, meeting rooms, banquet halls, outdoor pool deck and a 24-hour fitness center. The property is Swire Hotels' third hotel, with the other two being EAST, Hong Kong and EAST, Beijing. The design team includes architect Arquitectonica and interior designer Clodagh Design. The Fashion Centre at Pentagon City will add a new entrance, office lobby and two levels of new shops and restaurants. ARLINGTON, VA. -- Simon Property Group Inc. plans to update The Fashion Centre at Pentagon City, a 170-store mall in Arlington, with a multi-phase renovation and expansion project. Phase I will include a 50,000-square-foot expansion along Hayes Street, which will include a new entrance, office lobby, valet parking area and two levels of new shops and restaurants with outdoor seating. Other improvements include new elevators and escalators, complete renovation of the property's common areas and new bathrooms. 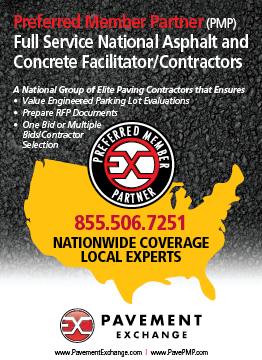 The design team includes architect Omniplan Architects and general contractor VCC. Simon expects to wrap up the expansion and renovation project in 2015. 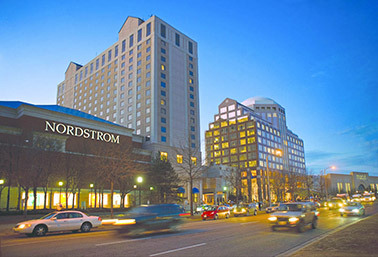 The Fashion Centre at Pentagon City was built in 1989 and is anchored by Nordstrom and Macy's. 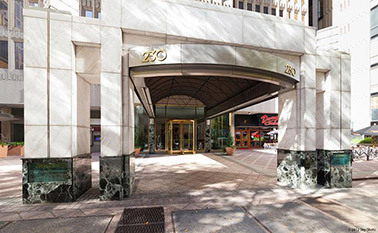 Floors two through nine of 230 Peachtree in downtown Atlanta will be converted into a new Hotel Indigo. ATLANTA -- PCCP LLC has provided a senior loan to Atlanta-based Portman Holdings for the acquisition and partial repositioning of a 27-story office building located at 230 Peachtree St. in downtown Atlanta. Portman Holdings plans to convert floors two through nine into a 200-room Hotel Indigo, an Intercontinental Hotel Group brand hotel. The rest of the 414,768-square-foot building will remain office space. 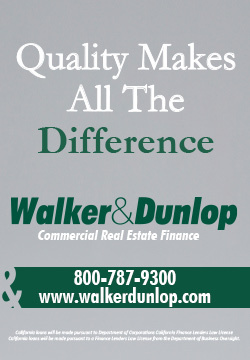 The property was 46 percent occupied at the time of the sale. Hospitality Ventures Management will manage the Hotel Indigo upon completion. The nine-story Equitable Building in Baltimore will be converted into a 180-unit apartment building. 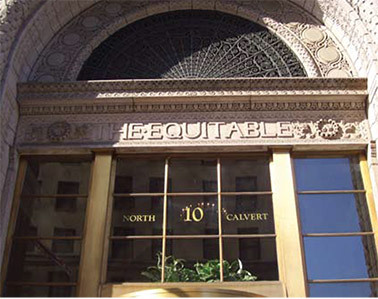 BALTIMORE -- Eastern Union has arranged a $21.5 million CMBS loan for the conversion of the Equitable Building, located at 10 N. Calvert St. in Baltimore, into a 180-unit apartment building. 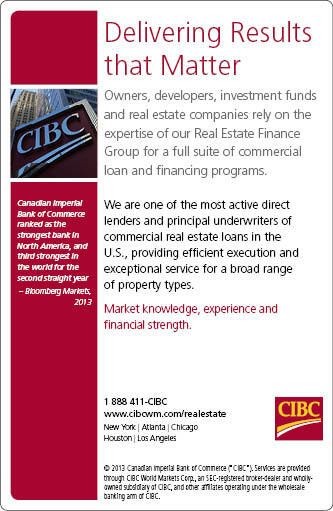 The borrower, JK Equities, is investing a total of $32 million in the repositioning of the nine-story asset. Ira Zlotowitz and Meir Kennser of Eastern Union arranged the three-year loan with a fixed 4.91 percent interest rate through Natixis Global Asset Management. Promenade at Virginia Gateway will add Charming Charlie, LOFT, White House Black Market, Francesca's Collections and Soma Intimates. 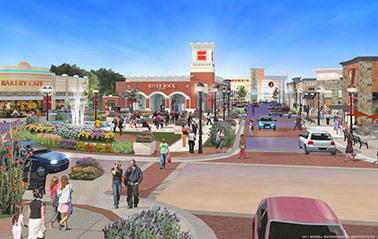 GAINESVILLE, VA. -- The Peterson Cos. has unveiled the newest merchants to join Promenade at Virginia Gateway, the fifth and final phase of the 1.3 million-square-foot Virginia Gateway development in Gainesville. The 300,000-square-foot Promenade will add Charming Charlie (5,900 square feet), LOFT (5,400 square feet), White House Black Market (3,500 square feet), Francesca's Collections (1,400 square feet), Soma Intimates (2,500 square feet), Pinkberry (1,250 square feet), IT'SUGAR (1,800 square feet) and Presley Laurent Salon & Spa (2,500 square feet). The new retailers and eateries will debut at the property's opening on April 26. With the new additions, the lifestyle center is 97 percent leased. 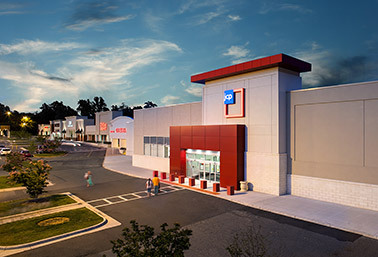 The 661,156-square-foot Windsor Square Shopping Center in Charlotte is set to add a new H.H. Gregg. CHARLOTTE, N.C. -- H.H. Gregg has signed a 10-year lease to occupy 22,934 square feet at Windsor Square Shopping Center in Charlotte. Other tenants of the 661,156-square-foot shopping center include PetSmart, Sam's Club, Kohls, JC Penney, Ross Dress for Less, Office Depot, DSW Shoes, Lifetime Fitness, Dress Barn, Shoe Carnival, Justice, Rue 21, Vision Works and Outback Steakhouse. Sterling Organization, owner of Windsor Square Shopping Center, will debut the new H.H. Gregg store in September. 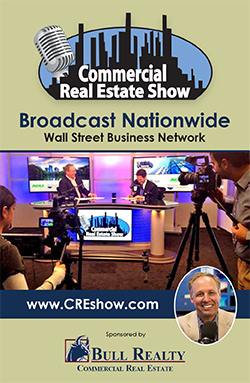 Jeff McElhinny of Atlantic Retail Properties represented H.H. Gregg in the transaction.